Alkaline Water Plus is Accepting New Affiliate Members! We invite you to sign up as a member of Alkaline Water Plus. As a member you will qualify for commissions! But, more importantly, being an affiliate of Alkaline Water Plus helps you to spread the word of alkaline ionized water to your friends. Friend & Family Referrals: Even if you don't "sign up", it's easy to earn referral fees and commissions from Alkaline Water Plus. If you tell friends and family members about us, and they buy a water ionizer. Just let us know that you referred them. Even if it's after the sale, if you let us know we'll make sure you get a nice referral fee. Referral fees are great, but you can earn even more if you set yourself up in one of the following ways. When you sign up to the Affiliately program, which we are members of, you will be able to create tracking links to any page on our site. You will have access to a "back-office" where you can monitor the sales and commissions coming from all your group members. It's VERY easy to use these links, and we are always happy to help you figure it out if you need it. All of our affiliate support can be used very seamlessly and is also discreet. Please call us if you want to use a coupon code. Our name, "AlkalineWaterPlus" or "Alkaline Water Plus", may not be used in your promotion of a coupon code without our authorization. You may not publish a coupon code if you're only purpose is to post a discount for our products. Using a coupon code properly can help you make a sale, but please understand that any discount offered to a customer by you would be reduced from your commission. So, you will want to think about that before offering any discounts to your customers. A Note to "Coupon Code Websites"
Please do not sign up as an affiliate if your intention is to post AlkalineWaterPlus coupons on any kind of coupon-code website. We don't want to associate ourselves with coupon websites that exist only for the purpose of giving a discount. We feel this practice underrmines the efforts of our affiliates who write original content (reviews, testimonials, etc.) and reach out to people in new, fresh ways about specific products on our site. Coupons for the sake of coupons only violates the intention of this affiliate program. Our affiliate program is all about word-of-mouth sharing of real information about our products. If we discover you're posting links on coupon sites, your enrollment in our program will be null and void. The AlkalineWaterPlus website contains a large body of resources that you can use to help educate your friends, acquaintances, customers and patients. To help you share these resources, our affiliate tracking links really come in handy. You can simply add your little 3-4 digit tracking code to the end of any of my URLs [just a little snip-it of code]. This allows you to refer your friends to my website, AlkalineWaterPlus, and when they visit the site it tracks them straight to the cart. With this program you have incentive to share this great data with your friends on Facebook, your blog, your own website or other social media. It works best if you also say something original while sharing, such as "I have purchased one of these and I'm going to tell you that it WORKS!" or something else of your own creation. The links are good for a minimum of 90-days, and more as long as you keep posting more links and getting more visitors. So many pages on my site are great discussion-starters! When you add your little code to the end of the link and refer people to those pages our tracking system keeps track of their visits, including other page visits and purchases for up to a 90-day period. It's advisable to post links to a variety of pages over a period of time with your own commentaries in order to keep your group members interested. Please email us any time after enrolling if you need help using our free affiliate-referral-tracking feature. We are as generous as we can be with our referral fees/commissions. Our affiliate commission structure is basically 15% for new electric water ionizers; 10% for non-electric water ionizers and hydrogen machines; and 5% for refurbished water ionizers, other products, or any water ionizer or hydrogen machine they already got a discount on. We also require that affiliates contact us regarding their sales within 60 days of the sale, so you identify yourself. 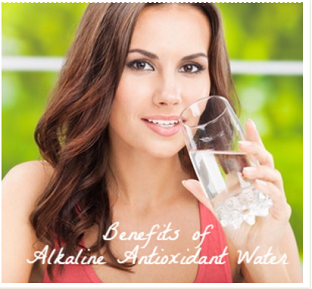 Our email is support@alkalinewaterplus.com. No commissions will be sent without this notification. If you use the affiliate tracking program, you can set it up to notify you automatically of any sales. Otherwise, it would be up to you to keep track of sales in some other way. Sign up now, by filling out this Affiliate Program sign-up form. Your information is secure with us and will never be used for any other purpose than what is stated on this page. We will never share your information or in any way make it public. Affiliate accounts are set to expire after 90 days if no website clicks are registered during that time. If you don't want that to happen, please let us know and we'll extend it for you.